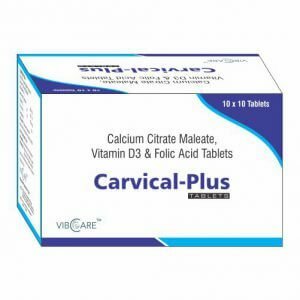 Calcium citrate is a salt typically used as a source of calcium in a variety of over the counter supplements. Calcium citrate Constipation, Stomach ache, Loss of appetite, Feeling of sickness, Excessive thirst, Muscle weakness are possible side-effects that may occur in medicines that contain Calcium Citrate Malate / Vitamin D3. These side-effects are possible, but do not always occur. Some of the side-effects may be rare but serious. Consult your doctor if you observe any of the following side-effects, especially if they do not go away. Folic Acid :IPR-MUS LD50 85 mg/kg,IVN-GPG LD50 120 mg/kg, IVN-MUS LD50 239 mg/kg, IVN-RAT LD50 500 mg/kg, IVN-RBT LD50 410 mg/kg. Calcium citrate : Patients taking more than 4g of calcium a day are at risk of hypercalcemia and metabolic alkalosis [L811]. Chronic intake of calcium supplements is associated with adverse gastrointestinal symptoms such as constipation and flatulence [L811] [A19538]. Folic Acid :For treatment of folic acid deficiency, megaloblastic anemia and in anemias of nutritional supplements, pregnancy, infancy, or childhood.